Singing Competitions: Who's Really Winning? 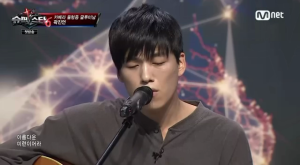 On Saturday November 22nd, Kwak Jin-un was crowned the winner of Mnet’s Superstar K6. His victory was met with much fanfare on the screen, and now he will join the ranks of previous Superstar K winners like Seo In-guk, Ulala Session and Roy Kim. On Sunday November 23rd, SBS‘s singing competeition K-pop Star began its fourth season. Then, on Wednesday November 26th, MNet announced that The Voice of Korea would most likely not return for a third season. With singing shows airing almost year round, one has to wonder: are these shows really succeeding in discovering the next stars? In many regards, these televised singing competitions do have a pretty impressive success rate for their artists, especially when compared to their international counterparts. In the case of both Superstar K and K-pop Star, most of the winners as well as many of the runners up have managed to become household names… in time. While there is such a thing as instant fame, the struggle for the winners falls in their ability to maintain popularity after the momentum of the competition begins to wear off. Seo In-guk was crowned the first winner of Superstar K back in 2009. Although he did become a celebrity overnight, his music career struggled to gain proper footing. 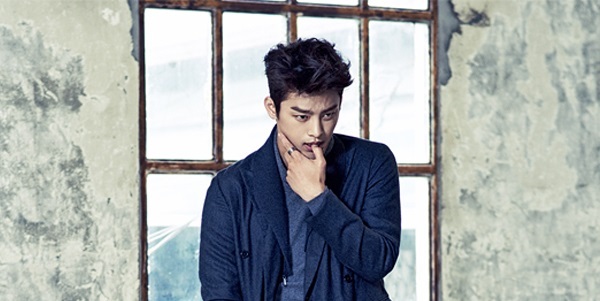 Seo In-guk not only had physical obsticals to overcome, but also industry politics. Because Seo had won a singing competition on Mnet, major networks like KBS, MBC and SBS all but banned him from performing on their networks, restircting him to Mnet. Even though Seo began releasing music in 2010, he was not featured on all the major networks until 2013. Much of Seo In-guk’s continued success can be attributed to his branching out into acting; his roles in both Reply 1997 and Master’s Sun gave his career a much needed boost when his popularity was on the decline. He has been so successful as an idol-turned-actor that it’s questionable wether he will return to music any time soon. Other notable winners of Superstar K include Roy Kim and Ulala Session. However, Busker Busker emerged out of left field as the most successful (and short lived) launch of Superstar K. Though the group came in second to Ulala Session at the finale Superstar K3, the group shot to fame with the indie hit “Cherry Blossom Ending.” The track has become the unofficial anthem of Spring in South Korea and even won Busker Busker the “Best New Artist” award at the 2012 MNet Asain Music Awards (against top idol groups like EXO and B.A.P.). What’s most interesting about Busker Busker’s success was that it was unanticipated, even by the group itself. The band only finalized its line-up before the audition for Superstar K, and the success of “Cherry Blossom Ending” seemed to come out of nowhere. After their stint on Superstar K3, the three members of Busker Busker were wary of entering into a contract with an entertainment company. As former member Brad Moore later explained in a tell-all interview, the reality of the Korean entertainment industry was much darker than any member of the group predicted. Instead of signing three year contracts, the group negotiated some of the first short term contracts in the industry at just 6 months. This would later prove to be very beneficial because in 2014 the group disbanded in order to pursue their own interests. Superstar K is considered to be not only the biggest talent audition in South Korea, but also in East Asia, and the show continues to draw thousands of hopefuls at each year’s auditions. While Superstar K is the longest running singing competition show currently on air, other shows have also catapulted artists toward instant fame. K-pop Star began airing in 2011 with much hype surrounding the show as all of the big three agencies were confirmed as judges for the program. This meant contestants — in addition to a cash prize — had the opportunity to sign with SM, JYP or YG. YG has benefitted greatly from its participation on K-pop Star, which brought the company both Lee Hi and Akdong Musician. JYP, although successfully signing the show’s first winner, Park Ji-min, has reaped far fewer benefits. Park Ji-min debuted under the female duo 15&, who has only seen, at best, moderate success since signing with JYP back in 2012. SM Entertainment, it seems, was only on the show to fulfill the “big three” goal and had very few intentions of signing any new artists. While BoA participated in the first two seasons as a judge, SM announced that the company would not be represented during the third season in 2013. The show continues into its fourth season with You Hee-yeol of Antenna Music, but has lost its hook of having all three music agencies represented and seen a serious decline in ratings since. While both Superstar K and K-pop star do have a surprising number of success stories in terms of winners and runners up, many of the shows’ contestants have faded back into obscurity. A major struggle for Superstar K participants post-competition is securing contracts. Contestants like John Park, Park Jae-jung, and Huh Gak were all signed after their Superstar K appearances, yet they’ve struggled gain the same public ground of some of their co-contestants. On the other hand, contestants of K-pop Star maintain a very high track record with contract acquisition; but of these contract deals, very few artists from K-pop Star have actually debuted. In short, it seems Superstar K has been successful in bringing more indie artists like Busker Busker, Roy Kim and Ulala Session to the spotlight, whereas K-pop Star has been successful in restocking YG’s roster. The Voice of Korea, although it featured some remarkable talent, was a largely unsuccessful venture for Mnet. The first winner of The Voice of Korea, Son Seung-yeon, has yet to become a real fixture in the Korean music industry. In fact, she has yet to officially release any original music, period. 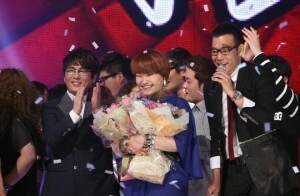 While the network maintained that The Voice of Korea had a different flavor to Superstar K, the show failed to gain a dedicated audience by the conclusion of the second season. Additionally, the licencing costs Mnet had to pay to Universal Music made the show virtually non-profitable. Although it is not official, Mnet representatives have commented that the The Voice of Korea will not return for a 2014 season. Even though Superstar K continues to draw in audiences into the 6th season, and K-pop Star has begun its fourth season — if The Voice of Korea serves as any indication — it may be the case that singing competition shows are losing momentum. With viewer ratings on a steady decline across the board, one has to wonder how long these shows can continue to be a successful launching point for hopeful artists’ careers. The novelty of singing competition shows when they first begin to air is that they are unveiling and discovering new talent. After multiple seasons though, the audience has witnessed dozens of “talented” artists come and go and the novelty begins to wear off. Korean singing competitions appear to follow the trajectory of most international singing competitions: the first few seasons’ winners find great success, but as the winners accumulate and networks become over-saturated with vocal competition shows, the chances at instant success also fade.